14North is located on Douglas' North Quay in a former 19th century timber merchant's dwelling. The family-owned and family-run restaurant occupies this redesigned space, transformed with modern and rustic sensibility to echo the honest, simplistic cuisine. 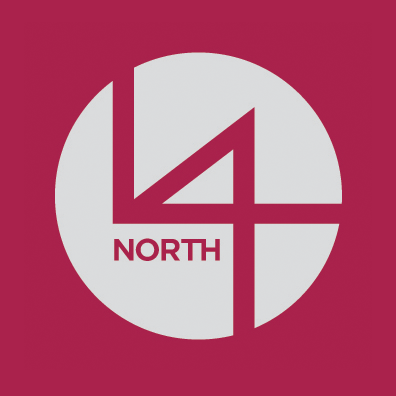 14North is for connecting with the community whilst sharing the simple pleasures of good food. Amazing food with such quality, and atmosphere divine that made me think I was on holiday in some super upmarket piazza. Will definitely be going again. We ate on Easter Friday for dinner. The seaweed butter served with the bread was not to everyones taste and my partner didn’t enjoy it, salted butter could be served so there is a choice. The bread was minimal but pleasant, we were told it was focaccia but it wasn’t, air pocket structure, lightness and oily texture were missing that you’d usually expect from traditional focaccia. Wine was served by the glass and was finished by the time starters (no issue, we just drank quickly) arrived however, when the starters were served, empty glasses were ignored and my starter was eaten without wine. After 25 minutes of not being offered a drink I turned around and caught the attention of service staff, this was after the starters had been served, eaten and cleared. Scallop starter was ok, 1 scallop on the plate sliced into 2, this was slightly over cooked and the vegetable salad was so bitter with lime juice it was unpleasant to eat. Squid ink aioli was tasteless and the squid carpaccio and fritter were bland and underseasoned. The £12+ price was overstated here. The gnocchi dish was delicious and plentiful. A Beetroot dish (which I didn’t order or expect) was delicious and really beautiful. Well presented and very tasty! on the plate was luke warm to cold. This was probably as all items were highly undercooked. Vegetables were on the borderline of being raw and the lamb loin was completely raw and barely made it to rare. Goats curd was bitter which is should be, however didn’t do anything for this dish. Belly fritter was the hottest item on the plate but was dark incolour and had no flavour. Other than the crumb on the fritter, no carbohydrates present on the plate despite it not being a tasting menu dish and no optional sides listed on the menu. Rhubarb tart was good but the ratio of rhubarb to pastry and short crust crumble was night and day. Needed more rhubarb to balance and the Creme anglaise didn’t have flavour and was stone cold. Easter egg special dessert was good however contained a flavour which was unrecognisable as  was extremely unpleasant in certain parts. Almost a subtle seafood essence!!?? To summarise. The most elegantly presented plates of food you could wish to be served. Cookery was below average, flavour combinations were abstract, drink service was poor and was expensive. The food was a case of style over stubsance. If you charge those prices for dining, the food, wine and service should be faultless, however if this occasion is was far from. Lunch with hubby - meal was truly delicious . Excellent meal and Lovely surroundings staff were  brilliant  Would well recommend for  lunch. The staff were most accommodating and welcoming. Wonderful menu, spoilt for choice. Food drink and service all great. Scored less for atmosphere as it was quiet. I have seen it busier and the atmosphere was good. Dinner was delicious! I decided on 3 starters rather than starter and main and all 3 were beautifully presented and delicious. Steak tartare, scallops with octopus and crab canalloni. I chatted with the chef coming back from the loo(like you do!) and mentioned that the crab dish lacked the punch of wasabi-it was mentioned on the dish but I didn't taste it and I love wasabi! Chef also mentioned that he's "brewing" his own kimchi which I love! Just hope there's some left the next time I head to 14 North for Dinner!! Really excellent evening. Very friendly welcoming staff. Food delicious & imaginatively presented. Nice quayside location. Everything was excellent! Just superb. Perfect sea bream fillet with crisp skin, delicious spinach, dreamy creamy leeks, flawless mousseline potatoes. And just the right light note added by separate lemon butter sauce. What can I say? It's truthfully the best dish I've eaten for ages. Everything excellent, service faultless - friendly but unobtrusive. And the coffee cups for the espresso were HEATED! Restaurant charming & comfortable, quayside view of marina better than south of France. Lucky us in Isle of Man. I have no connection with this restaurant  -  am just a happy customer! Delicious food & great service. Our Table was a little too close to other diners. We had a very good evening, arriving just as you were opening. Staff were very welcoming and the lovely food was served at good intervals. This all added to an enjoyable evening. Great Family get together on Friday night, Alex thank you for all the pre-evening arrangements and for looking after us on the night. 1st class service and 1st class food. Used to have a great atmosphere but that seems to have gone, upstairs was empty, last time I was there the place was buzzing but not on Saturday, disappointed. Great food, great service... what more do you want? Haven’t been for a little while but have re found 14North, having been twice in a week...superb food,the chicken and green beans was exceptional..it will be back on the list of regular haunts for lunch.